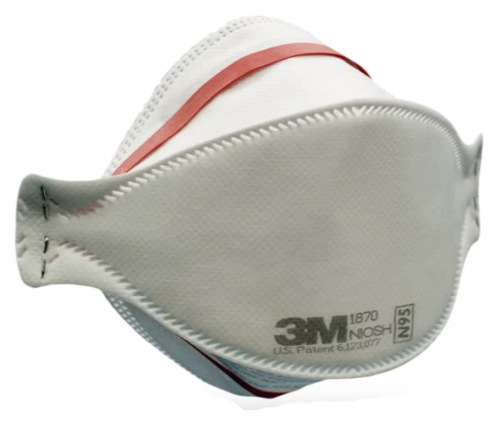 3M 1870 N95 Surgical Mask incorporates a 3M-patented, flat-fold/three-panel design that gives the N95 respirator mask a comfortable fit unlike any other respirator. 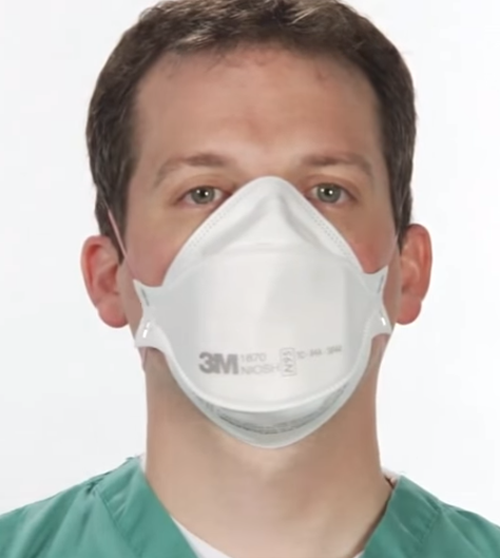 The 3M N95 respirator unique design fits most face sizes and head shapes allowing standardization to a single respirator for use in the OR, for patient care and throughout the rest of the healthcare facility. 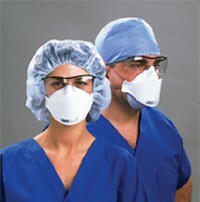 NIOSH - certified N95 respirator. High fluid resistant masks pass ASTM highest level of 160mm Hg for fluid and splash resistance. According to the manufacturer, this product is latex free. Great individually packaged possibly life saving face mask. Talked with 3MMM about the box label saying not recommended for individual sale. They found no law against it so it will go in my emergency, disaster list. Remember, the 3-D's Don't use if, dirty, damaged, or difficult to breathe !! I purchased these masks to wear on public transportation and at work as a nurse in public health while undergoing chemo for breast cancer. So far so good since wearing. Comfortable to wear, individually packaged and the price on this site was much lower than others I looked at for quanity. Still alot to invest in something that is just thrown away. Should have purchased them earlier since buses are sealed up here with the air on in 70 degree weather with the "no vaccine for me" people and I did get sick but "just" five more weeks to go-been using them since end of August.